Whether your focus is with MMA, with BJJ, with boxing or Muay Thai, or with weight lifting and resistance training, one of the most common ailments is wrist pain or wrist injuries. There’s just no avoiding it really. You train long enough in any of the above disciplines and you will encounter some form of wrist issue. Whether that issue be minor pain/discomfort or a full blown injury like a break or dislocation, you’ll experience something. Wrist pain is common but so is pain and discomfort in the surrounding areas. Some people have wrist pain but also issues with other parts of their hand such as the area around the thumb. It’s extremely easy to tweak the thumb area and cause all kinds of problems. With this wrist support from BraceUp, you can protect your wrists and the vulnerable parts of your hand also. This supports comes as a single piece making it perfect for those with pre-existing injuries on one hand only.Despite the material being thick and tough, it doesn’t feel stifling or unwieldy and your comfort or movement never feels impeded. You can wear this support whilst training BJJ quite easily without it getting in the way and without it preventing your from getting grips, etc. If you have wrist problems, or are concerned about future wrist problems, then you need a wrist wrap. However, if you plan on using that wrist wrap whilst lifting weights than you have to be careful when choosing as some of the bulkier supports aren’t compatible with gripping a barbell or a dumbbell. If you’re looking for a support to use whilst lifting, then this one from WOD Nation is a good purchase. WOD Nation offer three different sizes/lengths to suit your individual bodies needs. Each size has a large amount of give either way so there’s a size to fit pretty much any adult. There are also four different colours to choose from for those who are style-conscious towards their training gear. All colours look fantastic without being too out-there or too garish. Wrist pain can be a horror to withstand. The constant, gnawing ache that you can’t seem to take your mind away from. This brace from EveShine minimises pressure on the median nerve which allows you a period of “relative rest” whilst you’re wearing it. You can experiment a blissful reprieve from that pain whilst wearing it whilst simultaneously healing your wrist. If your pain is caused or exacerbated by activities such as typing and writing then this brace can also help to reduce the strain caused by such activities. Allowing you to live your life without constant pain. The wraparound style is easy to put on and take off, and just as easy to adjust it once the brace is on. Despite it’s therapeutic uses, it does not restrict your movement or cut off your circulation. If you’re looking for wrist support whilst you lift weights, then this is another great possible product for you. This strap is very low-profile whilst providing excellent support. There’s normally a give and take between the two; i.e. it’s rare to have a strap that actually provides support without being bulky and cumbersome and vice versa. But Harbinger have managed to reconcile the two and allow you the support you need but without getting in the way. The strap is highly adjustable, able to suit anyones needs and easily moved into position to provide extra support for specific problem areas in the wrists. These kind of wrist supports also help massively with exercises like deadlifts and shrugs, where you might find that your grip strength gives out before your primary muscle does. IPOW have produced a quality wrist support that has fantastic value for money. It’s primarily a wrist support when lifting weights and exercises but can be used just as well throughout the day to provide both support and relief from stubborn pain and injuries. The high elasticity polyester material used in its construction allows you to adjust the fit from loose to snug and back again to get the perfect fit, but without cutting off your circulation. A highly adjustable one-size-fits-all contraption. Unlike some wrist supports, IPOW sells these in a pair and with over five colour options to choose from. Their low profile makes these incredibly versatile, allowing you to do all manner of exercises without issue, including both big compound lifts and bodyweight exercises. 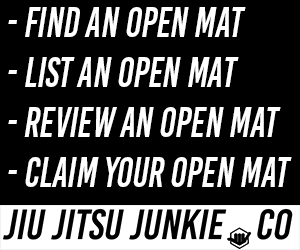 In BJJ and grappling it’s easy to catch your wrist on someone or land funny on it. It’s easy to jar your wrist when one of your punches connects badly in boxing or MMA. With weightlifting, your wrists are almost always in use in some capacity. You’d think that after this many years our wrists would’ve adapted to be stronger. 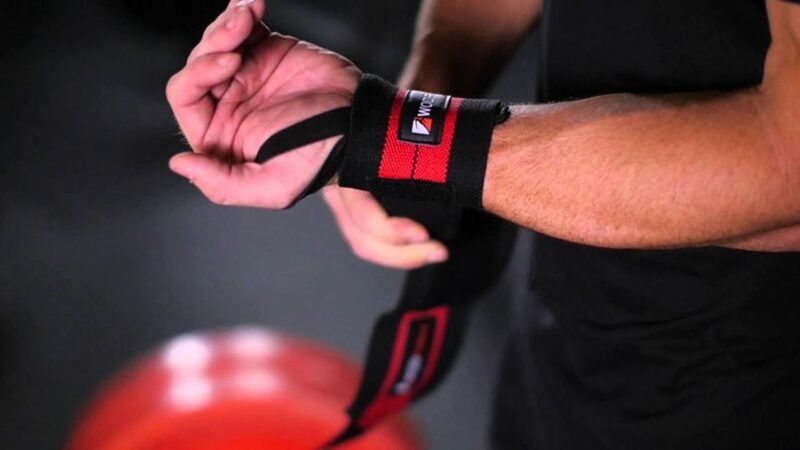 If you like to lift weights, or you already train martial arts but are going to start cross training and lifting weights, it’s a great idea to use wrist wraps. You wrap your hands in boxing and striking, so do the same with weights. Just adding wrist supports whilst you resistance train can help prevent any further pain or discomfort from occurring to allow you to enjoy training as many disciplines as you can. If you already suffer from wrist problems, then wrist wraps are almost mandatory when lifting weights. Just do yourself a favour and get some wrist wraps so you don’t have to suffer needlessly. Wrist supports give you all kinds of benefits with pretty much no cost. All of the wrist supports listed above are cost-effective and comfortable. There is no sacrifice to be made when wearing them, only benefits to be accrued. If you suffer from wrist problems already, there’s literally no reason to continue suffering through training when you can just get a good quality wrist strap and be pain-free.